I barely write at this blog anymore, and yet everyday, the stat counts are high and I receive new Twitter follows and new Facebook friend requests. I am digitally connected with more Thoroughbred enthusiasts and fans every day – far more than I ever was when I was in my backyard playing with my horses one by one. 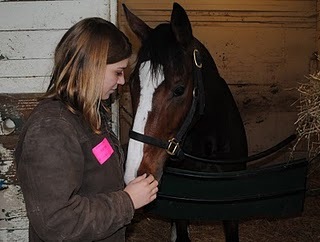 From Spotty Horse News, another TB finds his own girl to hug. And sure, it’s a testament to the power of Google and strategic keyword placement in blog posts – I did my research when I started this blog! But in that research, I also read to beware of the six-month lay-off: after four to six months, many people tire of their blogs and stop writing. 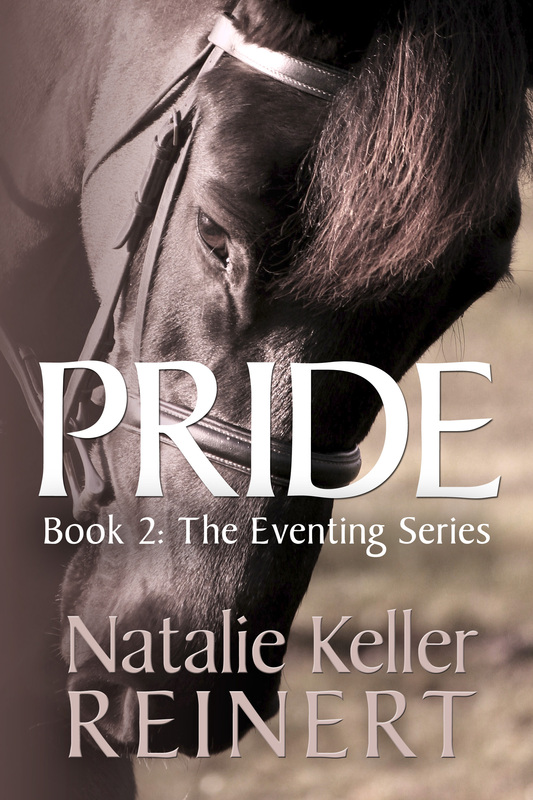 While that has not been the case at all – I haven’t been writing the blog because I’ve been busy with other projects and just couldn’t prioritize it – I think this is a beautiful case of Thoroughbreds beating the odds once again. Because the blog’s popularity continues to grow day by day. And, I am sure, OTTBs and their riders get help from it every day. Which was always my goal. The more we write about OTTBs, the more we stand up on our soapboxes and share our stories and our pictures, our triumphs and yes, our setbacks (after all, we learn from our mistakes and help others avoid them! ), the more they’ll continue to catch on. Sure, Thoroughbreds have been dropping in popularity for years. But that doesn’t have to continue. Your passion tells me all I need to know about the future of Thoroughbreds. Today we can celebrate another OTTB triumph. Head over to Spotty Horse News and read about Forrest, who found his own girl to hug. The “heart” that makes a competitive racehorse is not the same “heart” we talk about when we describe a horse who will do anything for his rider, and they’re not mutually exclusive, either. Look at that face. Go on. You know you want to give him a kiss.